Yes, I know it is a Monday morning but I couldn't wait for cocktail hour to share these beautiful and well styled bars. The use of a trunk placed on frame with legs is a brilliant way to create a masculine and unique home for libations. 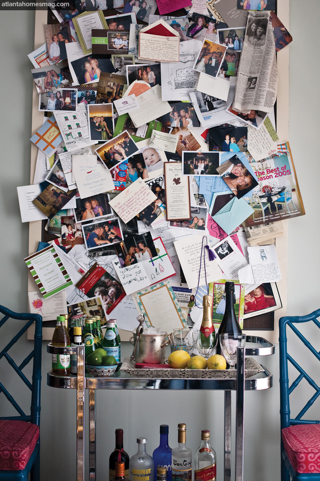 In stark contrast I love this classic bar cart framed with two boldly chairs and a cluttered message board. Using a trunk for a bar is a great idea! I just picked up a free barcart on Craigslist and am in the process of transforming it. Thanks for the inspiration! great ideas now im thinking of cocktails & we are nowhere near the weekend!! I want that first bar in my flat badly now. It really would look perfect in my lounge darn it. I love that first bar - especially the old chest and the flowers in the julep cup. Love the chairs and bar cart in the second image, but the cluttered board doesn't feel right to me. Everything about the top set up is DIVINE! I love everything about that House and Home shor- loved the whole issue!! I am a sucker for an antique trunk. This one on a stand is perfection especially with the clean, modern mirror and the ever-chic ghost chairs. Especially loving the second one! 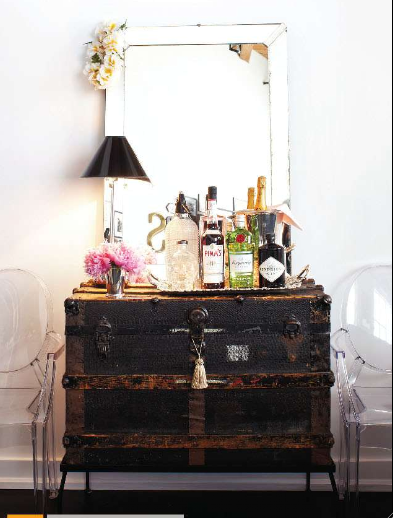 Both are great ideas, but I am loving that antique trunk...such a charming little bar! I love the first bar! Mixing the old and new pieces made a big statement in the room. Love it! The first bar is great. It has a romantic touch to it. Now I need to find room to do this. Thanks for sharing! i LOVE the first pic!! I'm actually in the market for a bar cart and dig this idea! What a great ideas! 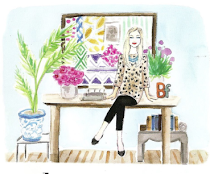 I like your blog, so many interesting and inspiring posts! Home bars are my favorite thing in people's houses. I think the shiny bottles and the entire setup looks like a piece of art. Love the top one with the trunk. That trunk is awesome. What a great idea! Well, those both are great ideas, but my favorite one is that antique trunk, it is wonderful and I really impressed with your photographs arrangements, fabulous work. Mixing the old and new pieces made a big statement in the room. Well, it is superb work you done. I also done same work with my room. Home bars are my favorite thing in people's houses. I think the shiny bottles and the entire setup looks like a piece of art. Impressive style . Love your style .